a total area of 5,948 square kms, of which arable land is only 542,844 hectares. Dodoma municipal on the East and Chamwino District on the Southwest part. Average growth rate of 2.3 percent and the average household size is 4.5. 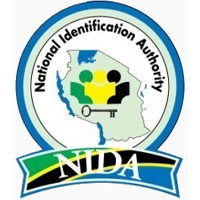 The National Identification Authority (NIDA) is established by the National Identification Authority (Establishment) Instrument, 2008 with the mandate to Register and Issue Identity Cards to Tanzanian citizens and eligible residents who are non-citizens with the age of 18 years and above in accordance with the Registration and Identification of Persons Act, (Act No.11 of 1986) Revised Edition 2012.